Okay, I'm lazy. It's unseasonably humid here and I just don't feel like challenging myself with something new. So I've been reaching for this standby, a scent that I've owned for longer than I care to admit. 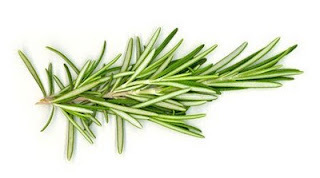 The original one is so wonderful; a bracing citrus with rosemary opening, rosy rosemary heart, and rosemary woody base. In a review five years ago I wrote that it smelled elegant, in a particularly Italian way, like a Maserati. On a hot, humid day it's also wonderfully bracing. At $138 for the whopping 6oz splash, it's also a bargain. There are also many ancillary products that I might need to own..
Hmmm, not sure if I have ever smelled a perfume with rosemary as the prominent note. I'm afraid it would make me hungry, but I bet it is pretty bracing and refreshing!